Bankruptcy is regarded as the final and last resort for the management of personal debts. However, filing a case for bankruptcy is often the only solution you have available to deal with your financial debt problems. This is because it helps you to evaluate your current financial position and get rid of the burden of personal debts. Nevertheless, prior to filing a bankruptcy, it is also important to evaluate the clauses and requirements that are associated with filing a case. These requirements will help you in assessing your particular situation and determine the possibility of bankruptcy. Often, people are not genuinely eligible for bankruptcy and not knowing about this fact can lead to further problems for a person who is in debt. There are specific situations where the need for filing the bankruptcy case may arise. For instance, in the case of increasing debt that you cannot pay, it is advisable to declare yourself for the bankruptcy evaluation. It will not only help you in managing your finances but can also prevent the creditors from filing legal suits against you. 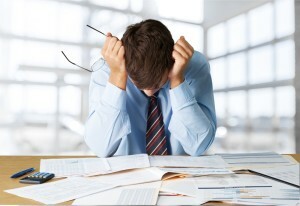 Here, we have discussed some of the most common reasons for bankruptcy. Illnesses often come unannounced and high medical bills can lead you towards filing a bankruptcy case. Having an illness (especially a mental and chronic illness) is expensive and it can push the patient and their family towards the serious threat of bankruptcy. In America, 60% of the bankruptcy cases are filed due to medical reasons. This reflects the cost of the medical care in the country. Mental illness is also mainly related to lack of debt management, as the patient is unable to clear his medical bills. Medicare and the Affordable Care Act positively contribute in the management of medical finances. It is important to apply for a medical insurance program for decreasing the chances of bankruptcy. In case of chronic and mental illness, these Acts can help in decreasing the medical bills you must pay as well. Divorce is regarded as the leading cause for bankruptcy filing. In order to deal with the complications of divorce and bankruptcy, it is important to plan ahead. In addition to planning, it is also important to select which case should be filed first. In case of joint spouse debt, divorce can pose a serious threat over the financial situation of an individual. It is better to file for bankruptcy as a join entity. In some states, joint bankruptcies have the benefit of joint exemption and this rule is advantageous for both partners. Losing your job is a disastrous situation, as it brings about emotional and financial trauma. In such cases, it is essential to control the expenses and deal with the debts. If the credit card bill and other debts cannot be repaid by any means, it is important to declare yourself bankrupt. It will cover the medical and credit card bills by liquidation of assets. The exempt property will not be affected by bankruptcy which can be regarded as a positive aspect of the whole process. This entry was posted in BANKRUPTCY, Family Law and tagged bankruptcy, Divorce, file for bankruptcy. Bookmark the permalink. ← How to Get the Best Attorney for Your Bankruptcy Case?